Kemp Lake Waterworks District (KLWD) is located on the west side of Vancouver Island west of Sooke, B.C. The District was established on May 26th, 1953 by Letters Patent under the Water Act of British Columbia. The District provides community water to an area of approximately 3.7 square Kilometers(1.44 sq miles) with an estimated population of 750 people through just over 200 metered connections. The District is managed by a board of three trustees who serve a 3 year term. Each year, one trustee is elected for a three year term by the land owners at the annual general meeting held in April. At Kemp Lake Waterworks District, our goal is to provide safe, clean water to all of our residents. 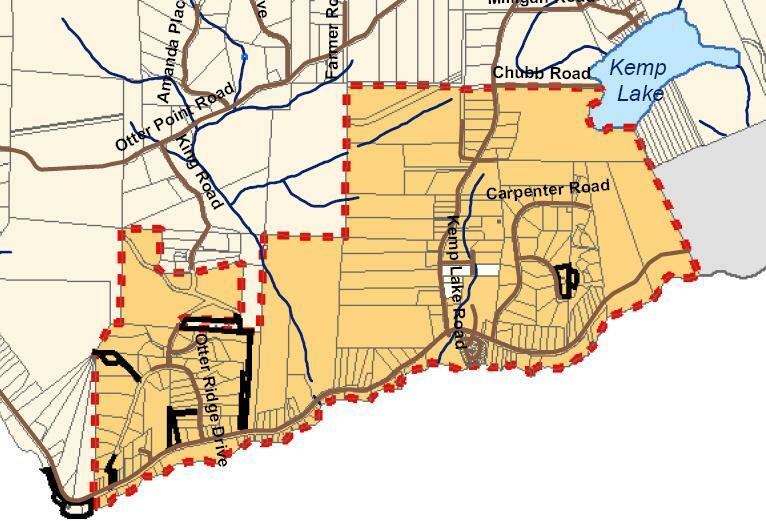 The district service area is shaded in yellow with the boundary marked in orange. 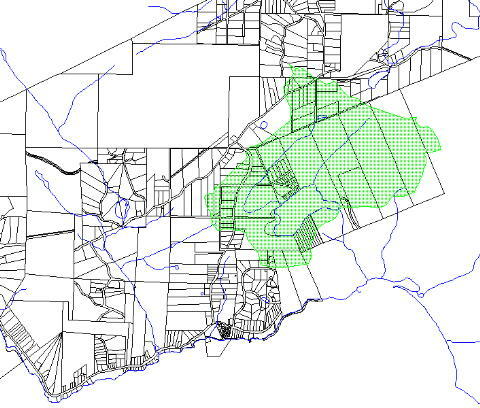 The water shed area is shaded in green. The lake drains south out of the south eastern corner to the Straits of Juan de Fuca.